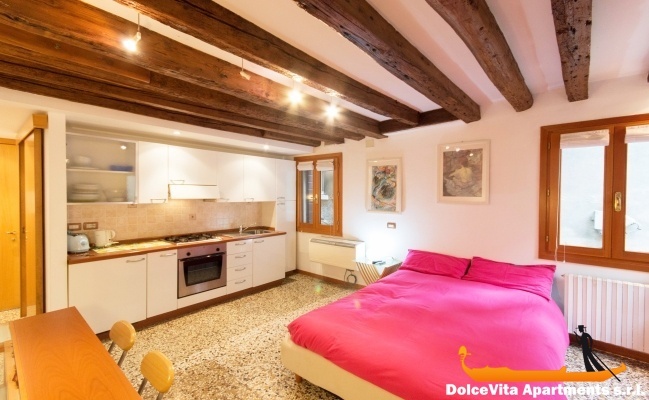 Apartment N. 136: It can accommodate up to 3 people, it is rented from 100 € per Night (not per person). 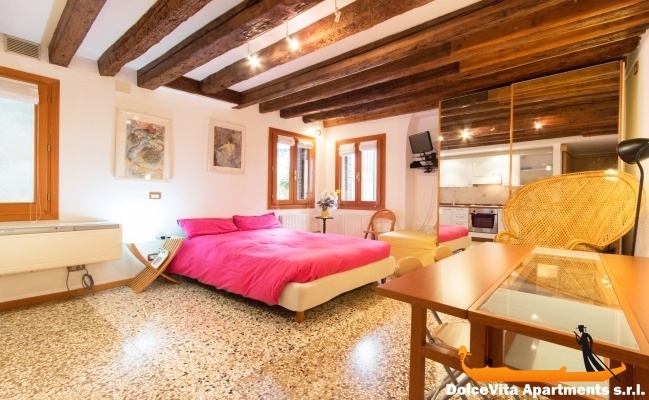 Cozy studio in Venice, with an independent entry, on the first floor of a completely restored building. 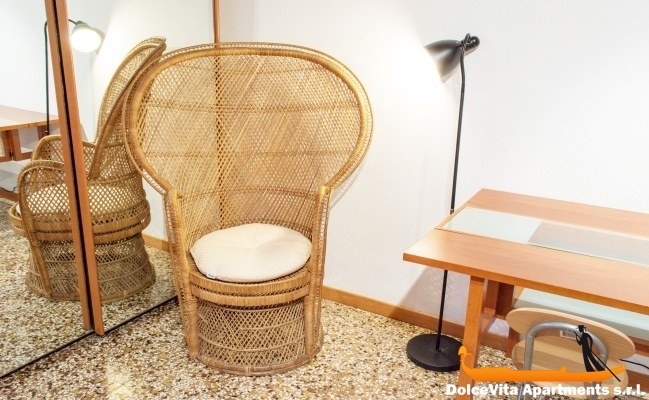 It is located in a central position both for the city center and to reach the islands ; it can accommodate up to three people. 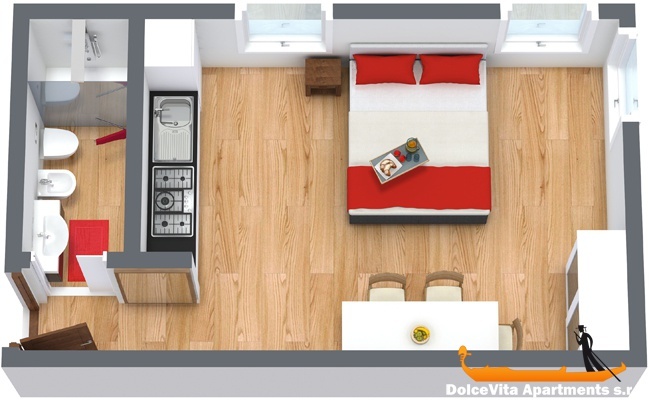 It is a studio apartment with a well furnished kitchen on one side and a queen-size bed on the other, with the possibility to add a single bed. 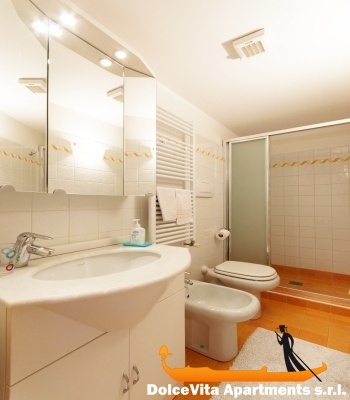 The bathbroom is completely renovated and it has the shower. On the ground floor you will find the laundry room shared by the three apartments of the building and also a room where you can leave your luggage on your departure day. 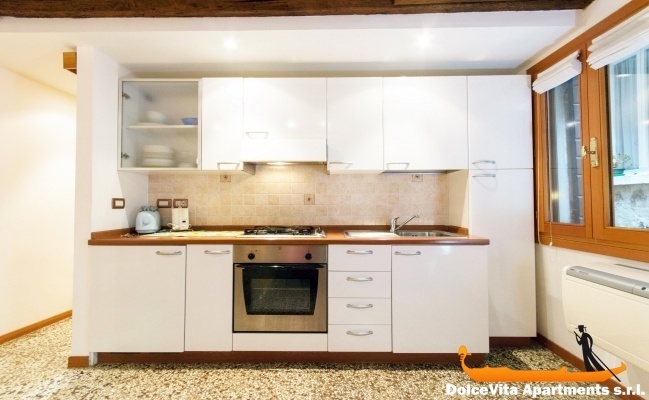 The studio is situated in a central position, few meters from the popular "Strada Nova" street and less than 2 minutes from the waterbus stop “Cà d'Oro”. 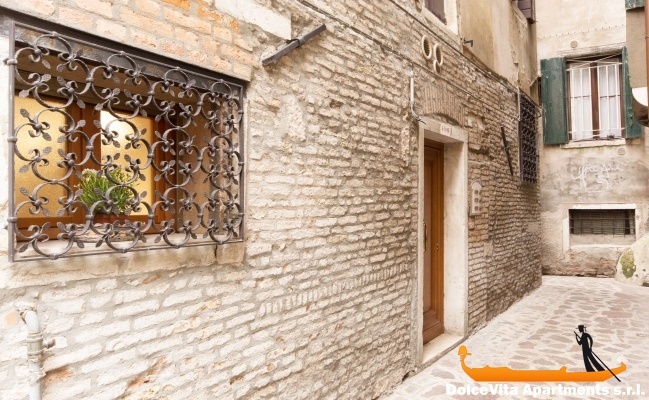 You will be in the heart of Venice, just a few minutes walk from the Rialto Bridge and and in front of its picturesque open-air fish and vegetables market, that can be reached by crossing the Grand Canal thanks to the gondolas service.